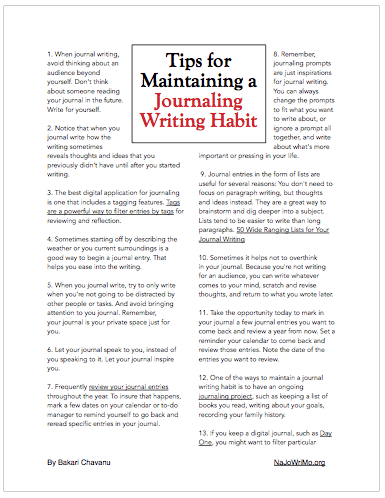 One of the advantages of using the digital journaling app Day One 2 is its unique ‘On This Day’ feature that allows users to read entries on the same day of the current day in previous years. For various reasons, I have rarely gone back and read my paper journals, which make up fifteen notebooks starting back in the early 1980s. I’m pretty sure I might learn a lot from reading those journal entries, but I would probably have to be sick in bed for at least a few weeks before I would even consider cracking open one of my paper journals for a travel down memory lane. But with Day One’s ‘On This Day’ feature, it’s a lot easier to re-read entries because all the content is available in the application instead of individual paper notebooks. This feature provides just another way to review journal entries, in addition to filtering entries by tags, individual journals, months or years, and even by browsing a calendar of photos. When you open Day One in either the iPhone or iPad, the option to view past entries appears right above the timeline list of journal entries. You can either tap and read the past entries, or tap the x to get rid of the notification. Note: if you choose to dismiss the notification there’s no way to bring it back for the current day. So for example, on May 20th, the day I’m writing this article, there are five entries that go back four years. For one year I had two entries on that day. Each entry is presented just as I wrote and saved them. In the Day One settings, you can choose what part of the day you want to be notified of your ‘On This Day’ entries. ‘On This Day’ is like looking through a photo album, and revisiting the experiences and thoughts you recorded in the past. While we certainly don’t want to dwell on our past, we do want to keep growing as individuals, and rereading our journal entries could be helpful in this regard. The ‘On This Day’ also encourages me to write more in my journal, because I will have much more to read and relive in the coming years. I don’t check my ‘On This Day’ entries everyday, but I do enjoy reading them, especially when I read entries about experiences and thoughts that have slipped from my memory. Past entries I’ve read have been used as topics for new journal entries, such as an entry about my daughter going off to college and how different things are for my wife and I since she left. ‘On This Day’ is also similar to a commitment I’m making at the end of this year, to take a weekend and reread all my journal entries for the past year and write a reflection based on that reading. And finally, I might start using ‘On This Day’ to favorite entries that are important to me, and that I might consider publishing in future Day One printed books. ‘On This Day’ is another one of the advantages of digital journaling. With this feature, journal entries don’t get forgotten, hidden away in a box or a bookshelf. ‘On This Day’ keeps memories alive.